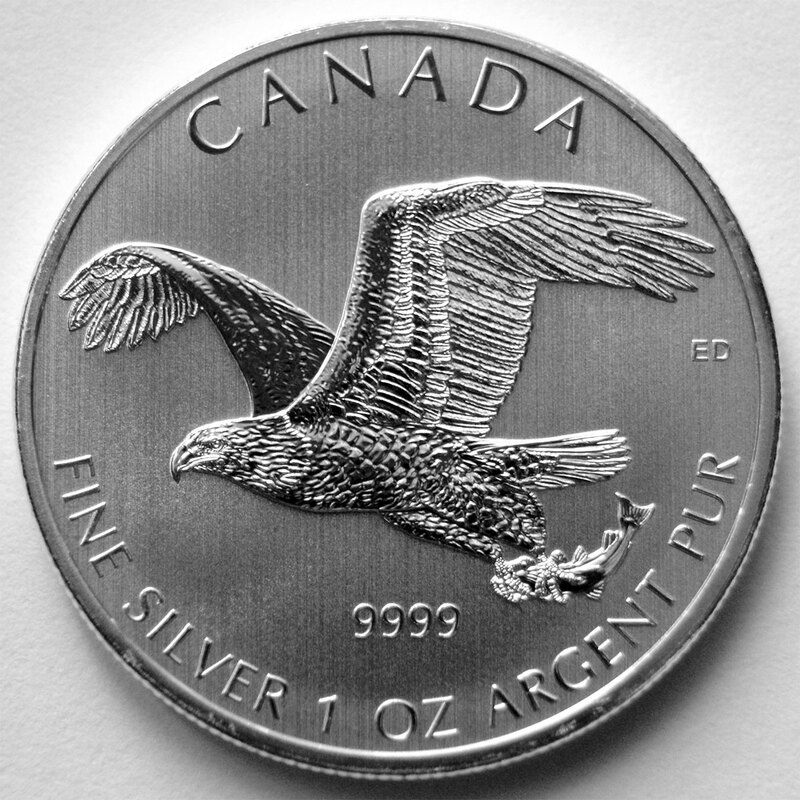 My illustration of a bald eagle carrying a fish can be seen on two different silver coins recently made available by The Royal Canadian Mint. The first is a very detailed engraving in a proof finish, seen above and at the Mint’s website here. 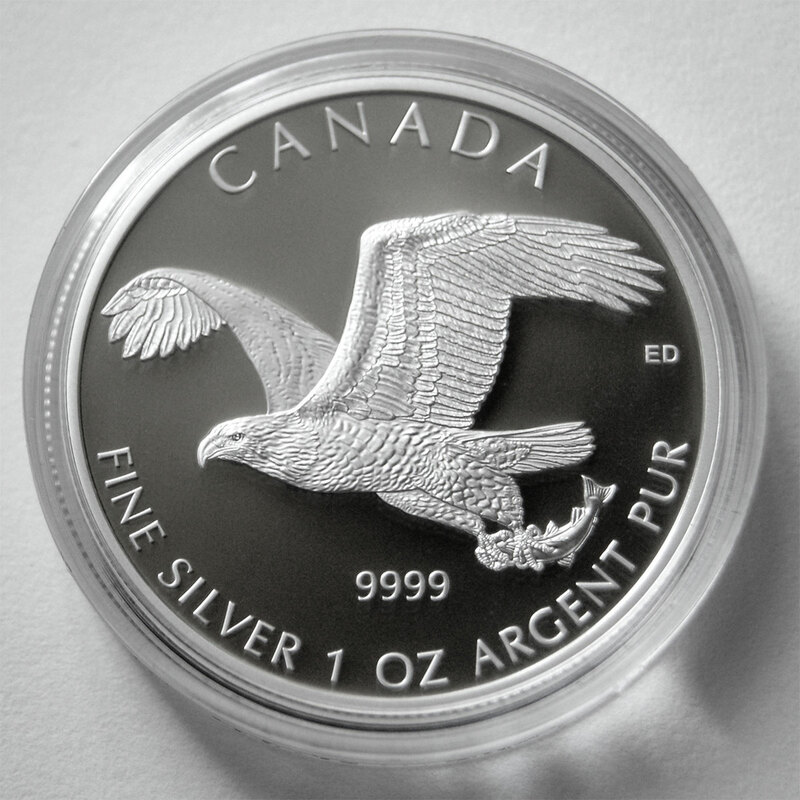 The second is a bullion coin, pictured below. This design is the second in a series featuring birds of prey. (See the first here).